Indie filmmakers’ biggest obstacle has traditionally been finding funding, but that’s beginning to change. Low-cost technology is reducing the price of shooting cinema-quality video and crowdfunding is providing start-up capital. 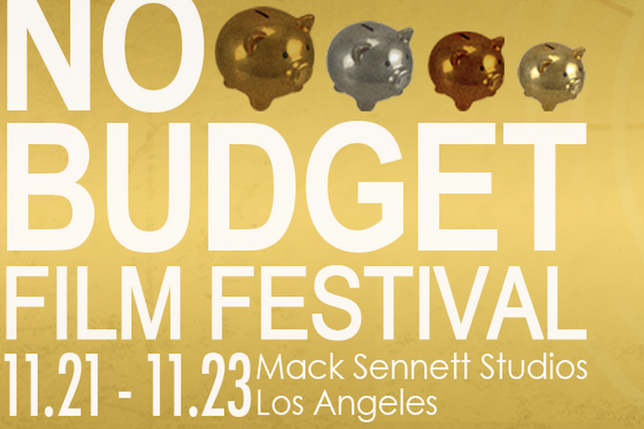 If inspiration is all you need, check out the 5th annual No Budget Film Festival, which runs Nov. 21-23 at several locations around Los Angeles. In addition to the screenings, panels include Filmmaking Life Hacks with experts from 5 Second Films and RocketJump, Hands On Digital Bolex Lesson With Elle Schneider, and wisdom from the producers of “Dear White People,” “Life Partners’ and “Much Ado About Nothing.” Registration information is available here. 36850 Pickfair St., Cathedral City, Calif.
Nov. 18 at 7:30 p.m.
Nov. 24 from 8-10 p.m.